Great Bible reading notes which my 11 year old and 13 year old both enjoy and find useful. 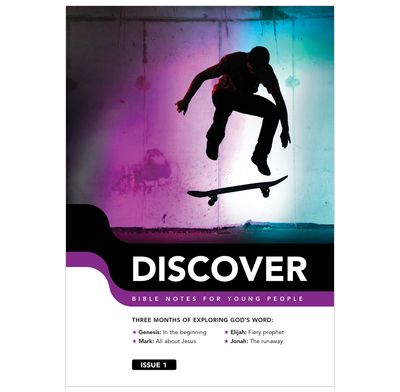 These are a great resource for helping the younger teenagers (and pre-teens) to get stuck into God's word. They are fun, accessible, faithful and helpfully point the reader to Christ. We've given these to those who have been Christians for years and those who are still exploring who Jesus is. Both groups have engaged well with the material and found them useful! Thanks for putting them together! Excellent Bible "studies" for youngsters. My grandsons enjoy reading them and are learning good clear , engaging Bible teaching at the same time.win win!